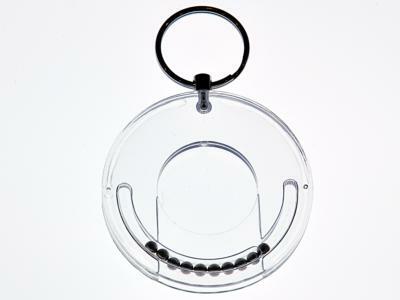 This nifty little puzzle allows you to insert a single coin into the perspex disc. This bit is easy. However when you try to remove the coin, it is not so easy. Whichever way you hold it or shake it, the ball bearings get in the way, and prevent you from getting the coin out. However if you know the trick, you can extract the coin in less than a second. A nice puzzle and an elegant piece of physics. The problem with this device as a gift is that it comes with a coin already inside, so it's hard for the recipient to understand what it's meant to do,without immediately unstapling the instructions. Best operated as a party trick, though people usually manage to remove the coin by tediously sepatrating the ball bearing barrier. Great gift for my friends. Always excellent service and very helpful and knowledgeable team.